Kobe Bryant is retiring from the NBA, but that won't put too much of a dent in his earnings. The Los Angeles Lakers star has earned $323 million in salary from the Lakers over the course of his career, according to sports salary tracker Spotrac. And he's collected more than $280 million from sponsorship deals, according to Celebrity Net Worth.com, making him one of the best-paid athletes in the world. Bryant's endorsements did take a hit after he was charged with sexual assault in 2003. The charges were ultimately dropped, and he and his accuser settled out of court. He lost deals with some sponsors, including McDonald's (MCD), as a result, but he kept his deal with Nike (NKE), which remains in place to this day. 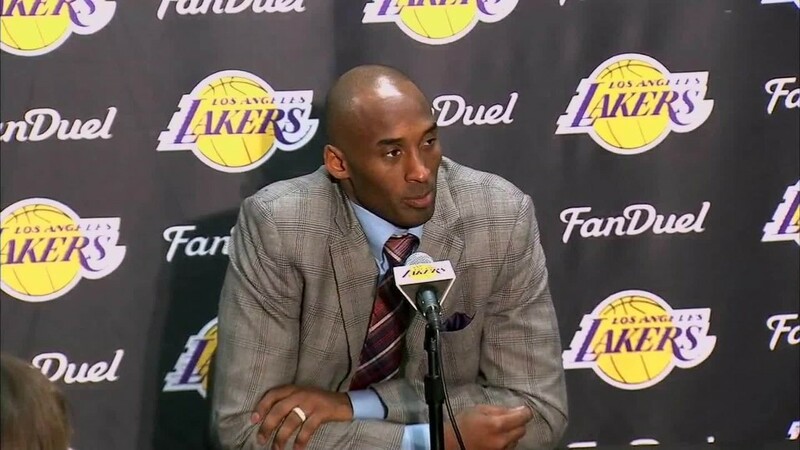 "Kobe epitomizes 'there is no finish line,'" said Nike spokesman Brian Strong on Monday. "He's a legend of the game, and his legacy will live on." A number of injuries have limited him to playing in just 41 games over the last two seasons, but he remains wildly popular all around the world. Bryant's jersey is a best seller in China, and his company, Kobe Inc., recently signed an agreement with Alibaba (BABA), China's biggest online marketplace, to create and sell a series of Kobe branded products. He's also popular in Europe, where he lived for much of his childhood while his father played ball in Italy. He remains fluent in Italian and Spanish and one of his current endorsement deals is with Turkish Airlines. In addition, Bryant has become something of a venture capitalist. He told Forbes that he's invested between $4-$6 million in a new sports drink, BodyArmor, making him the company's third largest shareholder. Bryant is likely to stay busy in retirement, doing everything from broadcasting and coaching or team management said Bob Dorfman, editor of the Sports Marketers Scouting Report. "He's got real international cachet and popularity," said Dorfman.